Location: Kathmandu Valley, Nepal and the Solo Khumbu in the Mt Everest Region of the Himalayan foothills. 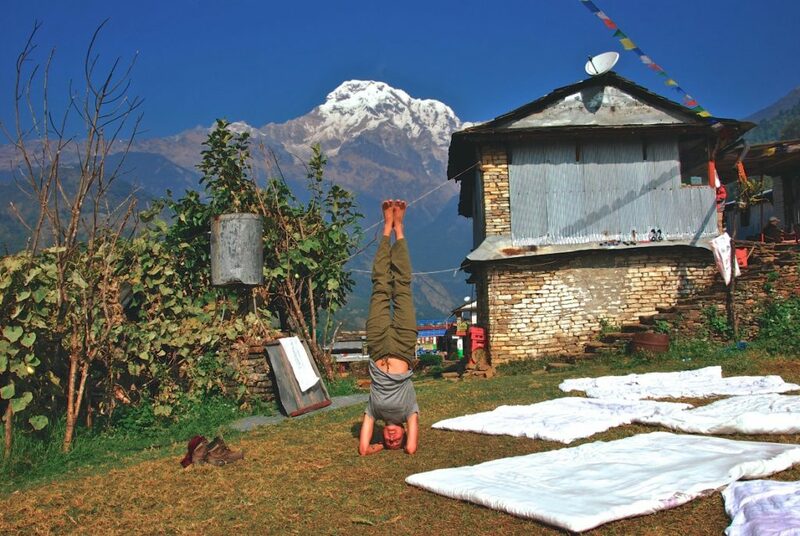 Alix’s experiences with her travels to Nepal have inspired her to co-create this unique yoga pilgrimage retreat with meditation teacher and experienced travel guide Sisse Buldolfsen, of Himalayan hermitage. This will be the second Yoga Pilgrimage Alix and Sisse have led together. This inner and outer journey will include time visiting sacred places in and around the Kathmandu valley and travel into the Himalayan foothills of the lower Everest region as ‘pilgrims’, where we will visit, stay at, and trek between monasteries along the way and experience the living history of Nepal and Tibetan Buddhist practices. Each day will incorporate a yoga and meditation practice that will be weaved throughout our journey with teachings that will relate the ancient wisdom into our modern daily lives. Please contact Alix with any questions.